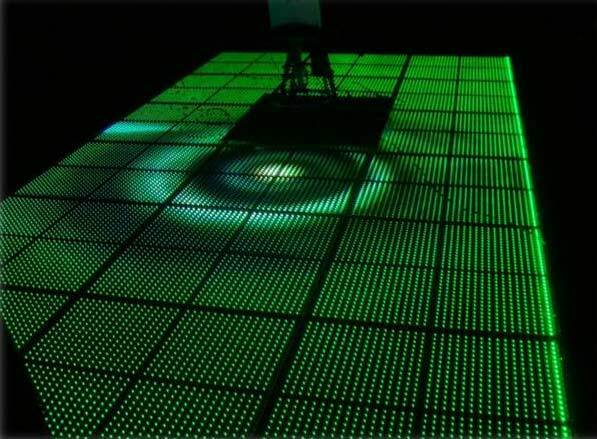 Almoung all the styles of LED dance floors we offer this is our high quality video dance floors which can produce moving video and graphics that you can dance on. 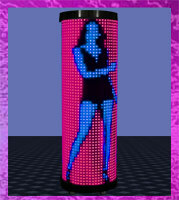 Use them for entertainment and promotional purposes such as at corporate events or trade shows. 1. 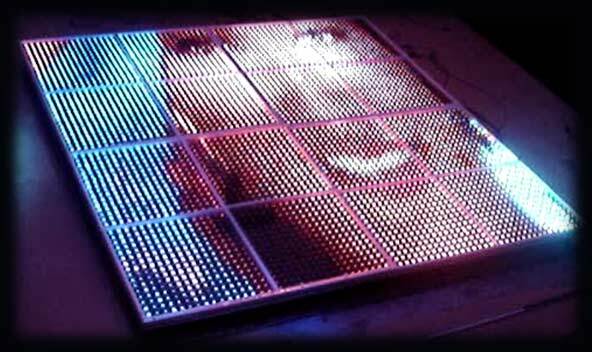 LED Video Floors - these are LED floor panels that have many indiviual LEDs distributed thoughout the space of the panel; very much like the pixels on a television.  They are available in different resolutions from low (1024), medium (1600) to high (2304). 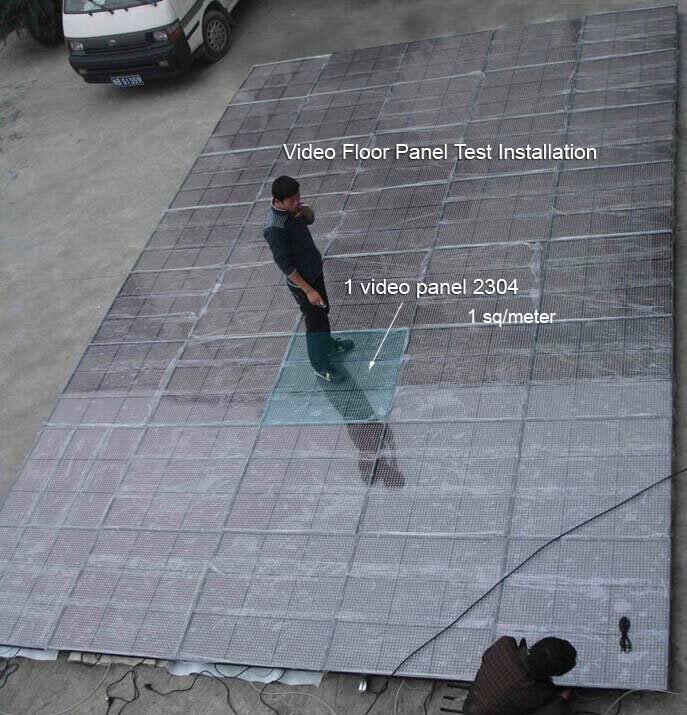 With video floors its easy to create virtually anything you can watch on a TV monitor on the entire floor. Audiences are treated to entertaining moving graphics while they dance or just watch. 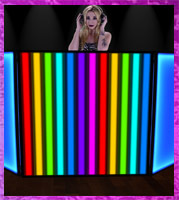 Great for special occassions, holidays, corporate events, weddings and dance parties. Video and graphics can be played back on these floors with a computer or laptop. Price Note: The above pricing is for a minimum of 25 sq meters = 25 panels - For orders less than 25 please contact us for a quote. 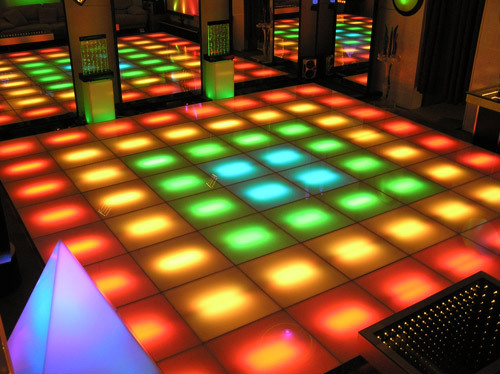 These video dance floor systems are made per order and are shipped from overseas in a container. Prices do not include ocean freight charges. For most floor sizes the panels can be shipped in a shared container reducing the ocean freight charges to about $1000. The shipment would then need to be shipped from the ocean port which we can assist in arranging for delivery. 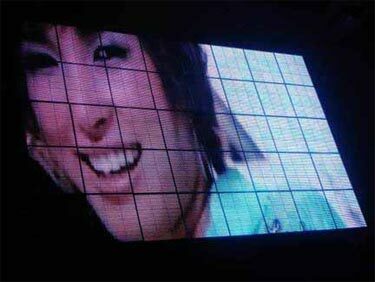 All video panels are warranted for a period of 1 year. 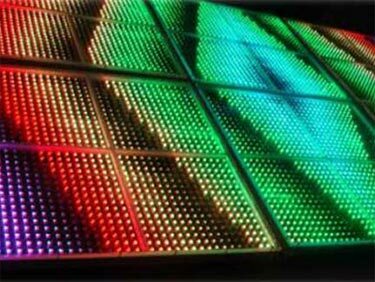 There are some extra components, such as LEDs and LED boards shipped along with your order. 1. 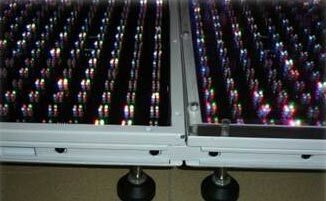 Clear or white translucent acrylic covers (part that protects the LED board and that is danced on).  Use the white translucent acrylic covers if you want to diffuse the LEDs.